Redwood Glen Apartments is a unique single-story apartment community in the popular Laurelglen neighborhood in southwest Bakersfield. Our ideal location places you within close proximity to terrific shopping, entertainment, schools, and dining. Everything you need is located steps from your door. 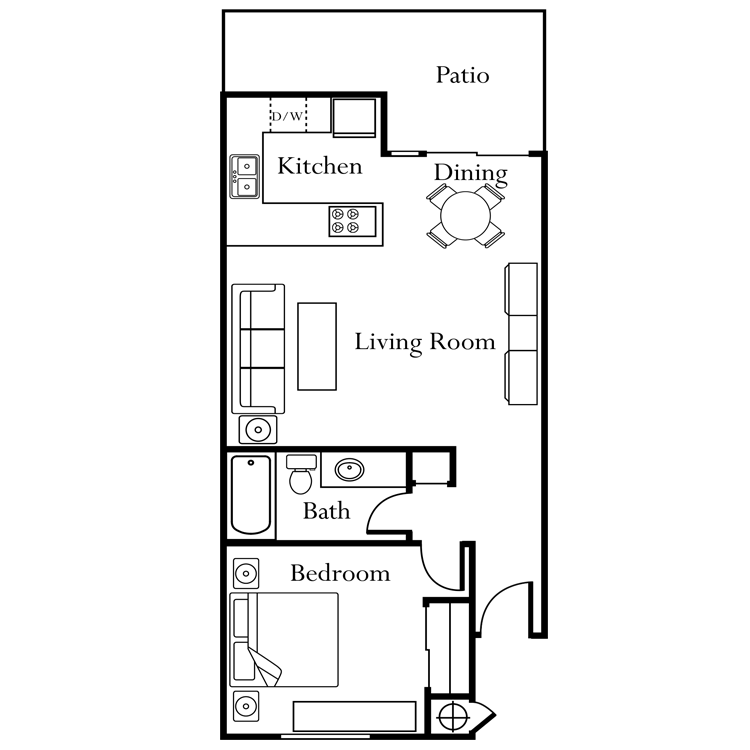 Choose from two spacious one and two bedroom floor plans offered at Redwood Glen Apartments. Tailored with amenities you deserve, our community strives to make your life a little easier. Spacious gourmet kitchens, breakfast bars, ceiling fans, plush carpeting, window coverings, patios and balconies, and energy efficient construction are just a few of the standard features included in each apartment home. Designed to be in harmony with the environment, Redwood Glen is surrounded by lush park-like grounds that provide an ambiance not typically found in apartment home living. Residents take advantage of free time by enjoying a refreshing dip in our sparkling pool or walking the serene pathways. Visit our photo gallery to experience how pleasant life is at Redwood Glen Apartments. Resident may have no more than one dog or cat, or two lovebirds, canaries, parakeets or one mynah bird. Pet must be at least 1 year old. No pet offspring are allowed. Dogs must weigh no more than 20lbs. and fewer than 18 inches in height. Requires an additional $300 security deposit + an extra $20/month for pet rent. Animals must not be left on patio areas unattended and must be kept quiet as not to disturb your neighbors.